Young athletes may have had an increase in complaints of knee pain this past winter after playing on harder indoor courts. Adolescent athletes are among those most frequently plagued by knee injuries. Knee pain and clicking not precipitated by a traumatic injury is a common complaint heard from young athletes. One of the most common diagnoses for adolescents with knee pain is Patellofemoral Pain Syndrome (PFPS)(1). The knee joint is comprised of the articulation of 3 bones; the femur, the tibia and the patella (knee cap). 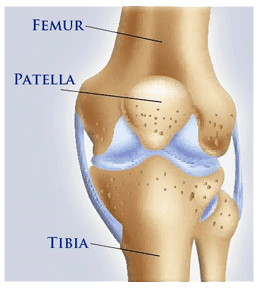 The patella rests in a groove commonly referred to as the “patellar groove”. As a person bends and straightens the knee the patella glides within the groove(1). PFPS is an umbrella term used to describe pain and/or clicking or crunching in and around the knee joint associated abnormal gliding of the patella in the patellar groove. Often the symptoms occur on the front side of the knee and underneath the patella. Common causes of PFPS include a change in activity level, a change in activity surface, or a change in footwear. Adolescents that participate in activities on more firm surfaces such as basketball, indoor track and dance are more prone to PFPS. PFPS can be due to abnormal alignment of the patella within the patellar groove, muscle imbalances, biomechanical abnormalities of the hip, knee and/or feet, and walking/running/jumping mechanical faults1. 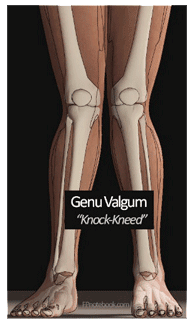 Genu valgum (knock knees) is a biomechanical abnormality commonly associated with PFPS. PFPS occurs more commonly in females (55%) than males (45%) as females are more prone to genu valgum(2). Although adolescent athletes are those that frequently experience PFPS people of any age and activity level can experience symptoms related to PFPS. 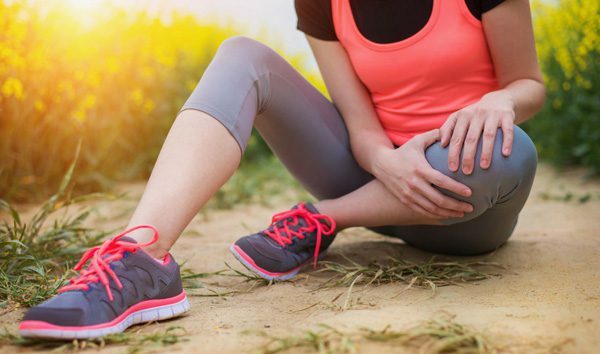 If you start to notice knee pain or crepitus within your knee Hampton Physical Therapy can help you. If you have any questions regarding this condition feel free to call or stop into one of our two locations in either Hampton or Seabrook to speak to one of our physical therapists. 4. Chevidikunnan MF, Al Saif A, Gaowgzeh RA, Mamdouh KA. Effectiveness of core muscle strengthening for improving pain and dynamic balance among female patients with patellofemoral pain syndrome. J Phys Ther Sci. 2016 May;28(5):1518-23. 6. Powers CM. The influence of altered lower-extremity kinematics on patellofemoral joint dysfunction: a theoretical perspective. J Orthop Sports Phys Ther. 2003 Nov;33(11):639-46.